Participants build lasting connections with each other, and join a larger community of practice. In the past 15 years, many more Jewish organizations and leaders began explicitly using organizing as a tool to build vibrant, thriving communities of meaning and purpose than ever before. JOIN’s legacy programs emerged during this period. JOIN was first established in 1998, as the Jewish Organizing Initiative (JOI) in Boston, Massachusetts. 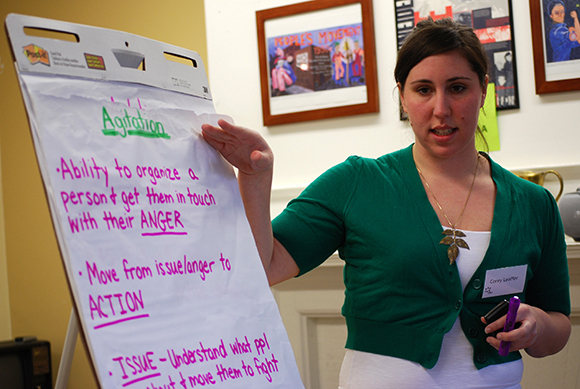 Founded by Michael Brown, JOI was a year-long fellowship program for Jewish young adults. Participants gained the organizing skills and experience needed to build powerful communities and create a just world. Nearly 150 emerging leaders have since completed the program. JOIN’s roots were also sown in the Seminary Leadership Project. Founded by Rabbi Stephanie Kolin, Rabbi Noah Farkas, and Jeannie Appleman in 2005 at Interfaith Funders, and later housed at the Jewish Funds for Justice, the Seminary Leadership Project evolved out of a cross-seminary course offered to students from the Jewish Theological Seminary (JTS, Conservative), Yeshivat Chovevei Torah (YCT, Orthodox), and Hebrew Union College-Jewish Institute of Religion (HUC, Reform), with substantial support from the Nathan Cummings Foundation. This training and eventual internship program provided rabbinical, cantorial and education students with organizing and leadership development training, mentorship, and opportunities to strengthen bonds with students from different seminaries. The program has trained more than 200 seminary students since its inception. 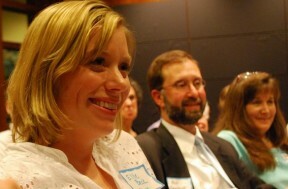 In 2009, Executive Director Karla Van Praag of JOI approached Simon Greer, then President and CEO of Bend the Arc (formerly PJA & JFSJ), to discuss creating a collective strategy for how to train and support Jewish organizers nationally. Along with Rabbi Jonah Pesner, Senior Vice President of the Union for Reform Judaism, and long-time community organizer Meir Lakein, they began to develop a new vision and plan for building a pipeline of Jewish organizers who could meet the demand for more training in these skills. The result was a decision to merge these two successful legacy programs under a singular organization with a larger, more expansive mission and a new name. In 2011, JOI officially changed its name to JOIN for Justice. JOIN for Justice, an independent nonprofit, is now home to both the Organizing Fellowship and the Seminary Leadership Project, as well as other emergent programs.